H.J.Res.46 – Relating to a national emergency declared by the President on February 15, 2019. House – 02/25/2019 Rules Committee Resolution H. Res. 144 Reported to House. Rule provides for consideration of H.J. Res. 46 with 1 hour of general debate. Previous question shall be considered as ordered without intervening motions except motion to recommit with or without instructions. Measure will be considered read. Bill is closed to amendments. Thirteen republicans don’t agree with Donald Trump (r). So much for the past concerns of Missouri republicans about executive overreach and the separation of powers. 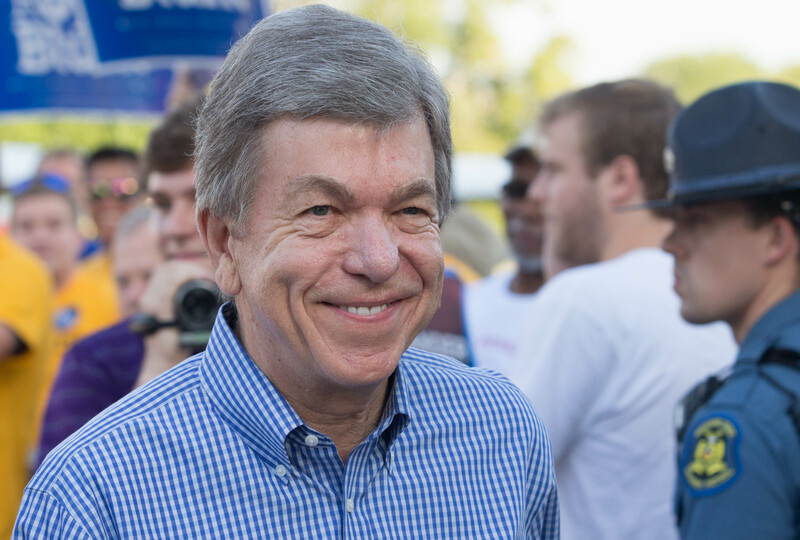 Senator Roy Blunt, Republican of Missouri, suggested the president’s inability to refrain from incendiary statements was detracting from his agenda. I understand the need for political pragmatism, going along with a bad deal to avoid a worse deal – and I appreciate Blunt’s willingness to sorta, maybe imply that Trump isn’t really a great “dealmaker,” but for many of us racism, arguably the original sin that lies at the heart of American democracy, is the line that may not be crossed. Which means that I also understand the reticence of our Missouri House members to speak out – Republicans in general, not just in Missouri, have been calling out to more or less covert racism via code words and dogwhistles for years.What can these already compromised politicians do or say to credibly face down the beast they have enabled and continue to enable in order to benefit their wealthy patrons. Of course that last sentence doesn’t even address the possibility that many of our elected Missouri representative may actually endorse Trump’s nasty racial sentiments. Missouri Rep. Sam Graves (R-6), as behooves the offspring of a farm family, couches his defense of the provision of the GOP tax-cut-for-the-rich bill that would repeal the estate tax in terms of farmers. But before I get to that defense, it’s important to note that Graves seems to be a little confused about the meaning of words. He somehow thinks that the estate tax amounts to double taxation on the person who dies – rather than a one-time tax levied on the folks receiving a hefty gift they almost surely did not work for or earn. And BTW, big gifts are taxable even when the giver isn’t dead. Farmers are hit especially hard by the death tax. After a lifetime of acquiring land and equipment to help provide food for the world, farmers are subjected to an additional tax on their estate when they die. The real effect of this double, and sometimes triple, taxation is felt by the late farmer’s family. While many folks receive an inheritance in the form of a check or stocks and bonds, the family farmer passes on his life’s work and ensures that farming continues as a way of life in North Missouri and around the country. It’s no wonder that our kids and grandkids aren’t choosing to farm when they grow up. It’s expensive enough to get a farming operation off the ground, much less keep it in the family after giving part of it to the government. The estate tax affects so few small farms and businesses because the first $5.49 million of assets per person ($10.98 million per couple) are entirely exempt from it. Moreover, most farmers and business owners with estates large enough to owe the tax have sufficient liquid assets (such as bank accounts, stocks, and bonds) to pay the tax without having to touch other assets or liquidate their farm and business, a 2005 Congressional Budget Office (CBO) study found. Today’s estate tax rules are even more generous than those CBO assumed in its analysis. Special estate tax provisions also allow estate tax filers to spread their payments over a 15-year period at low interest rates. While doing next to nothing for family farms, repeal would provide a windfall to the wealthiest 0.2 percent of estates — the only ones large enough to pay the tax. A repeal proposal recently reintroduced in the Senate would provide the 0.2 percent of wealthiest estates with an average tax cut of more than $3 million in 2017. Roughly 330 estates worth more than $50 million would get more than $20 million apiece in tax cuts, the Joint Committee on Taxation estimates. The proposal would also cost $269 billion over the decade, expanding deficits and adding to pressure for cuts in federal programs. I’d say that somebody ought to tell Rep Graves to get his facts straight, but there’s that part of me that wonders what the point would be. We’ve seen his colleagues spin whopper after whopper to try to sell us on a tax cuts for their donors. Is it Graves fault that the best he can do is that old swampland special, the farm estate tax canard? It may even do the job it’s designed to do. After all, for many Trump voters who believe he/she knows from whence emanates all fake news, it probably still has currency. At least Rep. Graves isn’t resorting to claims like those made my my Representative, Ann Wagner (R-2), that raising taxes on the middle class, cutting funding to programs that benefit the middle class, while giving a big regressive tax cut to the wealthiest of the wealthy will somehow help a “single mother of two.” Of course, there’s nothing to stop an unmarried Paris Hilton clone from giving birth twice. It could even happen on a lavish country estate that qualifies as a “family” farm. The Israel Anti-Boycott Act (S.720 and H.R.1697) is very bad legislation. It’s also that rarity, a bill that truly has bipartisan support. It’s laws like this proposed legislation, I suspect, that gives being bipartisan a bad rep.
restrictive trade practices or boycotts fostered or imposed by an international governmental organization, or requests to impose such practices or boycotts, against Israel. requesting imposition of any such boycott, against Israel. The bill amends the Export-Import Bank Act of 1945 to include as a reason for the Export-Import Bank to deny credit applications for the export of goods and services between the United States and foreign countries, opposition to policies and actions that are politically motivated and are intended to penalize or otherwise limit commercial relations specifically with citizens or residents of Israel, entities organized under the laws of Israel, or the Government of Israel. The legislation would levy significant fines not only for participating in boycotts or sanctions, but also for simply requesting information about such actions. Legislation like this would have precluded the boycott of South Africa that was at least partly responsible for the fall of apartheid. People on the left and on the right oppose this bill for much the same reason: it is improperly coercive, too broad in scope, and violates the Constitution. If its support is bipartisan, so is its opposition. Who opposes the Israel Anti-Boycott Act? “… this bill cannot fairly be characterized as an anti-discrimination measure, as some would argue. For example, the Civil Rights Act of 1964 already prevents businesses from discriminating against customers based onrace, color, religion, and national origin. This bill, on the other hand, aims to punish people who support international boycotts that are meant to protest Israeli government policies, while leaving those who agree with Israeli government policies free from the threat of sanctions for engaging in the exact same behavior. Whatever their merits, such boycotts right ly enjoy First Amendment protection. So who does support this bill? AIPAC. But that goes without saying. Who else? At least 237 members of the House of representatives, 63 of whom are Democrats, are cosponsors of the bill, and 45 Senators, 13 of whom are Democrats, are also cosponsors . Others will probably, due to either conviction or the pressures of the prevailing political wisdom, help vote it into law. As for whom in Missouri supports this legislation, here’s the list of House cosponsors from our fair state: Rep. Wagner, Ann (R-2), Rep. Sam Graves (R-6), Rep. Vicky Hartzler (R-4), Rep. Jason Smith (R-8), and Rep. Blaine Luetkemeyer (R-3). And in the Senate, who else but that consummate bipartisan wannabe, Senator Claire McCaskill, has signed on. So far, at least, Senator Blunt is keeping his hands off this one. Do you think he might actually have a few Constitutional scruples? McCaskill’s presence is the most easily explained. She’s good at the political calculus and you can bet there’s some payoff here, or at least she hopes there will be, in 2018. The woman’s great strength is her pragmatism. It’s also, alas, her frequent downfall.This case falls into the latter category. What really bothers me, though, are all those Republicans in the House who support this bill. Don’t most Missouri conservatives get all teary-eyed about the right of bakers and the like to refuse to do business with the LGBT folks – or whoever else their personal Jesus tells them to dis? Yet they don’t want to let businessmen or individuals who have moral qualms about the activities of foreign countries refrain from doing business that supports those activities? It’s not exactly the same question – there’s lots of issues to unpack here – but, on the surface at least, it seems just a little hypocritical. 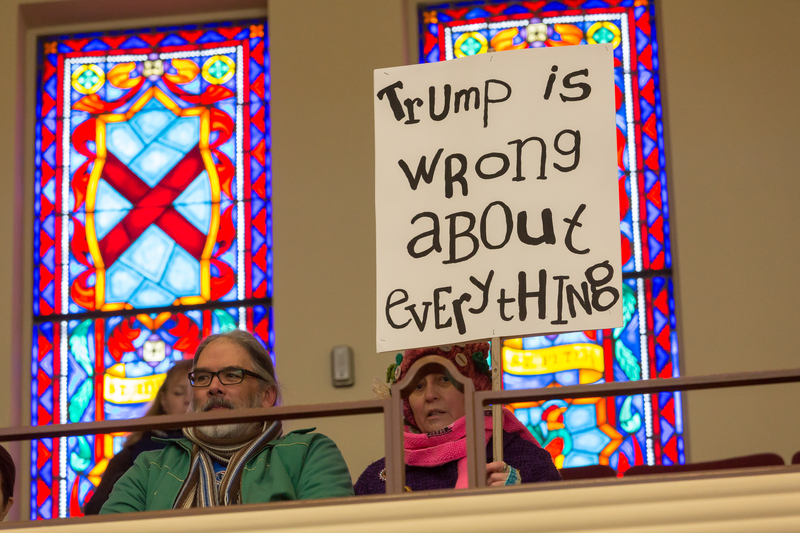 More importantly, weren’t lots of these chuckleheads elected during the Tea Party “uprising” by voters who went around in tricorner hats waving pocket copies of the Constitution? It was pretty clear, even at that time, that few Tea Partiers had actually bothered to read the document and fewer still understood it, but don’t you think that the folks they sent to Washington ought to at least show a little deference to the legal underpinnings of of our great Democracy? *2nd to last paragraph slightly revised for clarity (12:03, 7/21/17). There’s no such thing as a “moderate” republican. Representative Blaine Luetkemeyer (r) [2014 file photo]. 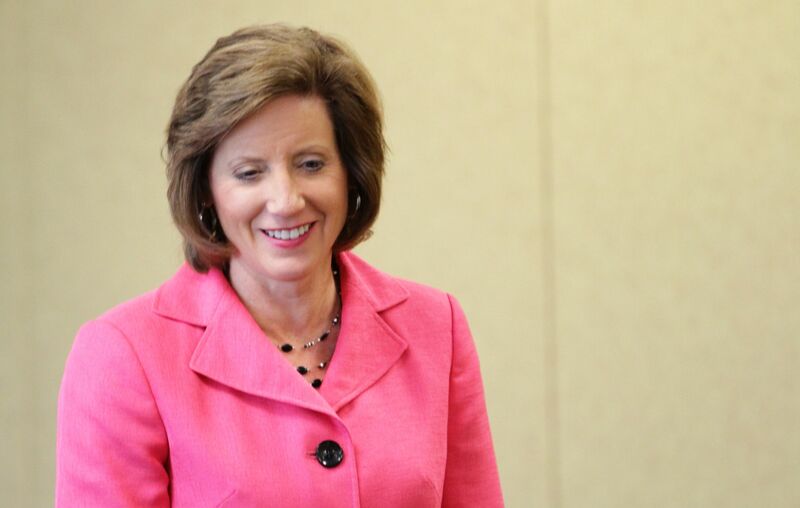 Representative Vicky Hartzler (r) [2015 file photo]. 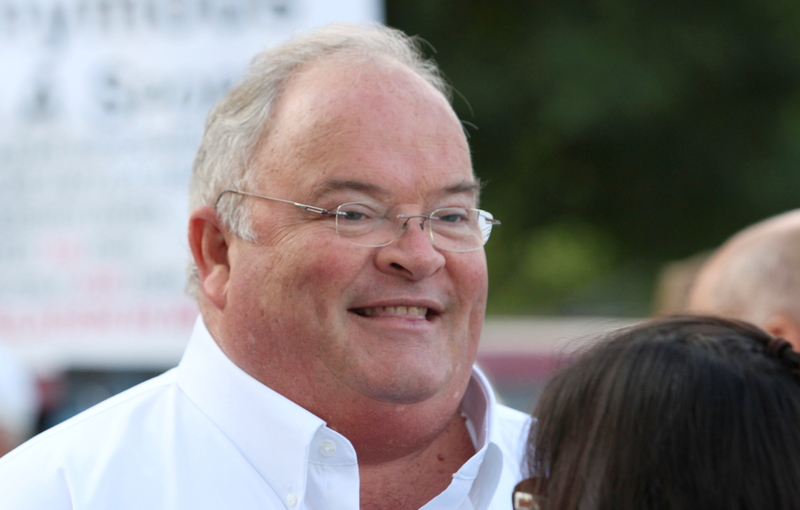 Representative Billy Long (r) [2013 file photo]. Voting for Donald Trump’s agenda 96.6% of the time is an unqualified endorsement. 100% is a true believer. Well, look at that, Roy Blunt (r) is no moderate. There’s no such thing as a “moderate” republican. They own Donald Trump (r) and his agenda. There are rumors that the 3rd iteration of the Obamcare repeal and replace bill, GOP Dump& Dupe, will be voted on this week – perhaps tonight, and – brace yourselves – this totally terrible, cruel bill might pass the House and be sent to the Senate. It’s likely that it won’t pass in the Senate, at least not in its current incoherent form, but, who knows? 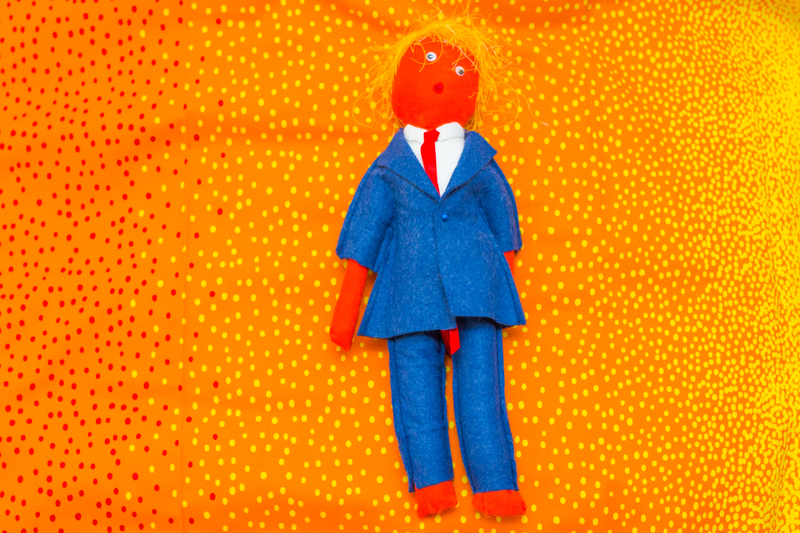 As Steven Benen observes, lots of us cheered when Big Orange got the GOP presidential nomination – no one thought such a clown could ever in a million years win the general election. After she votes for the revised bill – and she’s not currently counted among the holdouts – those of us who subscribe to Rep. Ann Wagner’s (R-2) email newsletter will get a gushing account of how she battled to save us from that bad, old Obamacare. And she won’t even ask for thanks – she just wants us to stop phoning her about the damn thing, please, and, for god sakes, quit asking her to come to an in-person town hall and actually listen to random concerns of the hoi polloi. Mama did what she had to do to save us from ourselves and no matter how many time we’ve asked her to leave Obamacare alone, she knows that we really don’t mean that at all. After all, St. Louisians stop her in the grocery all the time to tell her to keep on keeping on. At whatever she keeps on at. Working to help bankers, I think. GOP Senator Roy Blunt will hem and haw in order to persuade us he isn’t as dumb as the rest of his party, but he won’t even require that push comes to shove to make him go along with GOP leadership when/if the bill comes to the Senate – when the inevitable fallout begins, though, he’ll remind you about the hemming and hawing. Rep. Billy Long (R-7) will carry on about how he held out until he got a dinky little pittance as a down-payment for ineffective high risk pools (along with a in-person goosing from the Big Guy in the White House). He’ll try to persuade you (using standard talking points developed by somebody else ) that this particular thirty pieces of silver makes up for voting to take away protections from folks with preexisting conditions. Nobody but the terminally stupid will be fooled. Oh wait, those are the people who vote for Republicans like Billy Long. And Vicky Hartzler (R-4) will let us know that Jesus told her to vote for Trumpcare 3.0. She’ll do it indirectly, as befits a congresswoman who has to pretend to serve the heathens too. She runs with Jesus after all and Obamacare was just full of provisions that were hurtful to the Christian Taliban members who worry that they’ll go to hell if they contribute to a common insurance pool that also funds contraception for those who don’t share their beliefs. Sam Graves (R-6) and Jason Smith (R-8 ) will vote as expected. And if they say anything about it all, they’ll do it in the usual way which consists of whispering over in the corners with safely like-minded supporters. Nobody else actually knows who they are, so no big deal. But It’s good to know that you can rely on Republicans to be Republicans. Isn’t it? Time to exorcise the NRA’s 2nd amendment demon? Representatives Sam Graves (R-6), Vicky Hartzler (R-4), Blaine Luetkemeyer (R-3), Billy Long (R-7), Jason Smith (R-8), and Ann Wagner (R-2). The entire Republican Missouri U.S. House lineup. Remember each one of these names next time there’s a mass shooting and Republican Senator Blunt or some other NRA apologist comes out and says, as Blunt did after one or another in the spate of mass shootings we have experienced in the past few years, that the problem isn’t guns, it’s mental illness. The House voted 235-180 largely along party lines Thursday to repeal an Obama-era rule requiring the Social Security Administration to send records of some beneficiaries to the federal firearms background check system after they’ve been deemed mentally incapable of managing their financial affairs. The rule, when implemented, would affect about 75,000 recipients of disability insurance and supplemental insurance income who require a representative to manage their benefits because of a disabling mental disorder, ranging from anxiety to schizophrenia. It applies to those between age 18 and full retirement age. What’s really rich is that GOPers explained their vote by saying they were worried that the rule “stigmatized” folks with disabilities and “unfairly” deprived them of their 2nd amendment rights. This, mind you, is coming from the very people who think every Muslim is a terrorist until proven otherwise. Folks who don’t turn a hair when 100,000 people with totally legal visas are denied entry to the U.S. because they are Muslim. And they’re worried that denying guns to people too ill to handle their own affairs is overkill. Maybe we should give blind drivers licenses so that they don’t feel unduly stigmatized. Or we could permit folks on the terrorist watch list to purchase guns – oh, wait. I forgot the same cast of characters made sure that we already do just that. The overwhelming majority of Republicans and Democrats in the House detest the Office of Congressional Ethics and want to revamp it, said Democratic Rep. Emanuel Cleaver of Missouri. “When that happened to Sam, I thought, ‘This is horrible.’ Then it happened to (North Carolina Rep.) Mel Watt. Then it happened to (Mississippi Rep.) Bennie Thompson. And all these people were cleared,” Cleaver said in an interview Tuesday. Cleaver said Democrats stood ready to work with Republicans to repair what many of them considered a very flawed ethics office. But not in secret. Yeah, I get that it’s hard to have to be accountable for every little thing that you do – but that type of accountability goes with the type of power wielded by congressmen. You get the goods, you pay the price. And, yes, accusations can spoil a reputation. But that’s better than weak oversight by a House Committee that’s all too susceptible to partisanship and good ol’ boy pressure. Despite Cleaver’s concern, the OCE investigation didn’t seem to do much harm to the folks cited by Cleaver as examples of its overreach. Rep. Mel Watt (D-N.C.) was indeed cleared of trying to sell his vote, but he still harbors a grudge against the OCE for even considering the charges – in spite of the fact that he was reelected subsequent to the investigation. While I don’t know the details of the improprieties alleged against Bennie Thompson (D-MS) to which Cleaver refers (here’s one such story reported by TPM), I do know that he’s still serving in the House so it looks like he survived scrutiny by the OCE. Personally, I’m relieved that we have institutions that will investigate such allegations. The DailyKos account of another of the “horror” stories the GOPers mustered to motivate their action – the sad story of Duncan Hunter’s rabbit – also falls a little short when it comes to mustering the type of righteous indignation Cleaver expresses. It seems that the OCE may have taken exception to travel reimbursements for transporting Hunter’s family’s pet rabbit in-cabin on flights. Hunter alleges this charge was an oversight, an honest error. Yet as DailyKos’ Laura Clawson notes, “this was just one $600 rabbit travel oversight among $62,000 in jewelry, video games, resort stays, oral surgery oversights and mistakes under specific circumstances.” Oh my! Just these few examples are enough to show us why the Republicans are so eager to “reform” ethics oversight. As a former OCE attorney observed about their latest attack, “it effectively allows the committee to shut down any independent investigation into member misconduct. Historically, the ethics committee has failed to investigate member misconduct.” A sweet deal indeed for members of the party of Trump. But a sweet deal for Democrats too? I don’t get Rep. Cleaver’s tender sensibilities. What’s he got to hide? When Elizabeth Warren tweets “who, exactly, thinks that the problem with Washington is that we have too many rules requiring the gov to act ethically?,” isn’t it embarrassing to answer that it’s one of the two Democratic representatives from Missouri? Sam Graves at the heart of the GOP attack on the Office of Congressional Ethics? The big news today was that the House GOP members tried last night to defenestrate the independent Office of of Congressional Ethics (OCE). Given the imminent installation of what will almost undoubtedly be one of the most corrupt presidential administrations since the Gilded Age, independent ethical oversight must have seemed to be so, you know, yesterday. Republican majorities evidently are so used to operating with impunity that they did not count on the massive blowback that materialized literally overnight and which led them to backtrack today and declare that they would put the matter off until later in the session. As their President-elect tweeted, they had other priorities to accomplish – like gutting Medicare or passing massive tax cuts for the wealthy – before they move to enable wholesale congressional corruption. Graves’ experience with the watchdog came up during Republicans’ closed-door meeting Monday as an example of how costly and damaging such investigations could become for members, even if the accusations are never proved. In 2009, the Office of Congressional Ethics recommended a formal investigation of Graves for inviting a business associate of his then-wife to testify on renewable fuels before the Small Business Committee, which Graves chaired. The businessman, Brooks Hurst, was invested in the same ethanol and bio-diesel cooperative as Graves’ wife. Graves’ colleagues on the House Ethics Committee eventually cleared him of any wrongdoing and criticized the watchdog for its handling of the case. The situation, however, could just as easily be construed as illustrative of the weakness of the House Ethics Committee. The OCE unanimously requested that the Ethics Committee investigate Graves for “potentially creating the appearance of a conflict of interest in selecting Hurst as a witness.” However, the Committee decided to let Graves off because they could not demonstrate explicit personal gain and “no House rule prohibits the creation of an appearance of a conflict of interest.” I bet there’s no explicit House rule prohibiting pedophilia either. Just to provide a little more context, this investigation wasn’t Grave’s first conflict of interest entanglement. Grave’s propensity to dabble in ethanol production for fun and profit has led him into questionable territory before. In 2008 he was involved in a state-level conflict of interest imbroglio centered on financial incentives for Show Me Ethanol LLC. Yet Republicans and some Democrats – Rep. Emanuel Cleaver for one – will tell you that Graves was vindicated and that his ill-treatment by the committee is evidence that it is running amok and needs to be restrained. Makes you wonder what they’re so worried about – maybe something about a culture of corruption and those pesky chickens that always come home to roost? Which members of the Missouri congressional delegation are for or against Paul Ryan’s Medicare phase out plan. I have written here about the fact that House Speaker Rep. Paul Ryan is planning to take advantage of Trump’s election to push his Medicare privatization plan, a plan that will essentially destroy Medicare as we know it. Please find below a checklist of Missouri politicians categorized by their response to Ryan’s privatization plan. This list will be updated and reposted as politicians make their positions clear (or don’t). Note that even if a particular politician indicates that they don’t support Ryan’s privatization phase out, it doesn’t mean that they aren’t open to fiddling with the system in often destructive ways. I also indicate which House members voted for or against the Ryan plan earlier when it was included in the proposed 2015 House budget and which have negative or positive voting records in regard to Medicare related issues. Senator Claire McCaskill (D) (see here for source and discussion). Members of Missouri’s U.S. Congressional delegation who have been contacted but have not committed to a position on Rep. Ryan’s phase out plan at at this point. Roy Blunt (R) (Source: TPM list as per 11/19).Blunt has a record of voting for legislation that undercuts Medicare. Rep. Sam Graves (R) (Source: TPM list as per 11/19 (list up dated regularly)). Graves voted for the 2015 Budget proposal that included a similar privatization plan. He has a record of mostly voting to weaken Medicare. Rep. Emmanuel Cleaver (D-5) (Source: TPM list as per 11/19) Cleaver voted against the 2015 Budget proposal that included a similar privatization plan. His voting record is mostly pro-Medicare. Members of Missouri’s U.S. Congressional delegation who have not yet been contacted about their current position on Ryan’s Medicare phase out plan. Rep. Lacy Clay (D-1) Clay voted against the 2015 Budget proposal that included a similar privatization plan. His voting record is mostly pro-Medicare. Rep. Vicky Hartzler (R-4) Hartzler voted for the 2015 Budget proposal that included a similar privatization plan. She has a record of mostly voting to weaken weaken Medicare. Rep. Billy Long (R-7) Long voted for the 2015 Budget proposal that included a similar privatization plan. He has a record of mostly voting to weaken Medicare. 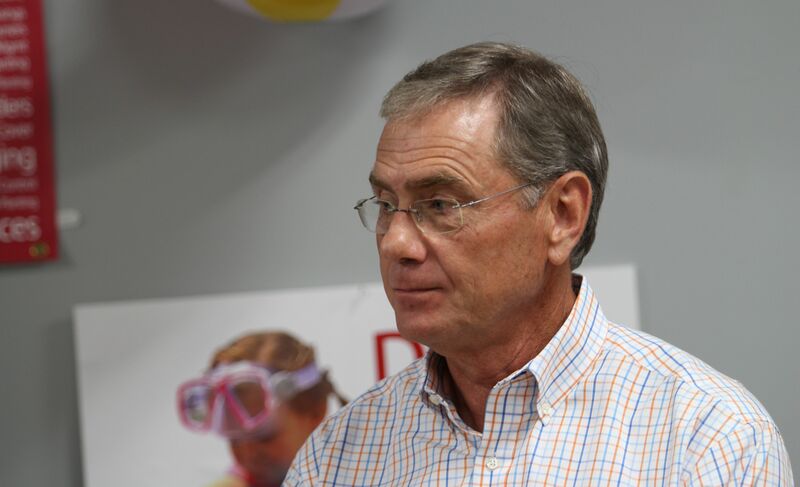 Rep. Blaine Luetkemeyer (R-3) Luetkemeyer voted for the 2015 Budget proposal that included a similar privatization plan. He has a record of mostly voting to weaken Medicare. Rep. Jason Smith (R-8) Smith voted for the 2015 Budget proposal that included a similar privatization plan. He has a record of mostly voting to weaken Medicare. Rep. Ann Wagner (R-4) Wagner voted for the 2015 Budget proposal that included a similar privatization plan. She has a record of mostly voting to weaken weaken Medicare.